It’s always interesting to see new techs coming out. Baidu yesterday unveiled an artificial intelligence-powered tool that can translate languages in real time. Sufficient enough to replace human interpretation or not, it point out a touchable future when business partners communicate in different languages, they may have affordable options to understand one another, even over private facetime calls. Good on the Baidu AI team. 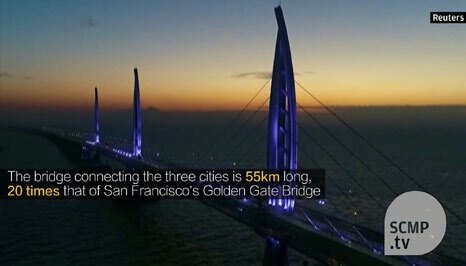 Jinping announced the grand opening for one of the world’s longest bridges—-The Hong Kong-Zhuhai-Macau bridge on 23 Oct, 2018, it forms an opportunity for Beijing to reaffirm its commitment to economic liberalization. The maga project is made up of nearly 35-km (22-mile) bridge and road sections and a 6.7 km (4-mile) tunnel. Absolutely breathing taking! I think it will not only channels the tourism economy but also business & trade. A good timing to review the investment opportunities in Zhuhai, HK and Macau. Australia China Business Circle is privilege to be invited as a Media partner in the Alibaba E-commerce Expo 2018—- Melbourne. Both Sidney and Melbourne Expo were wonderful and we are witnessing Alibaba to create more jobs through the E-commerce ecosystem. A great era for local brands to go international, start from Australia, start from Alibaba’s E-commerce platforms. 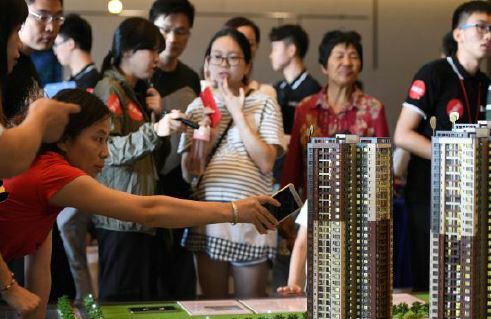 provided by property researcher CRIC (China Real Estate Information Corp), Chinese property buyers are holding back, in China. The figure of sales by floor area, often used as a leading indicator of demand, dropped 27% in China’s Golden Week holiday earlier in October. Developers offered promotions to attract buyers, including free cars and down payments from 10% of the purchase price. Some even slashed prices as much as 30%. Some RE friends believe Australian property markets are ‘flat’ at the moment, but if looking at the figure, I think we are holding on pretty well in this global correction already. 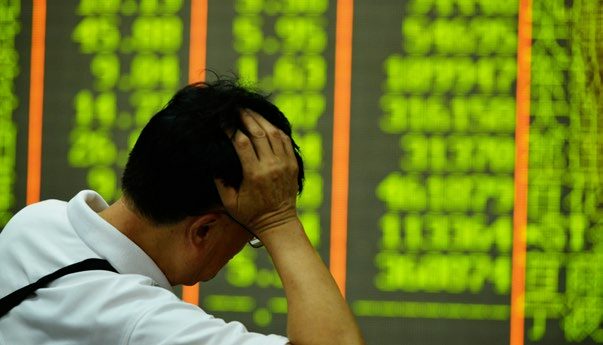 As bad as the performance of US markets, the Shanghai Composite Index ended below 2,600 yesterday, a level not even breached during market crashes in 2015 and 2016. Hong Kong is just slightly better, with the Hang Seng Index once dropping as much as 4.1% before paring losses to 3.1%. Tencent, the most valuable stock listed in Asia, slid 5.7% to extend a record losing streak to a tenth day. People around me talks about the alleged ‘global correction’ , but how do you think? 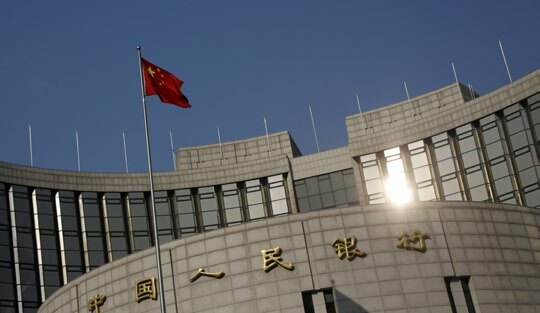 The Bank of China announced on Sunday, that it would reduce the amount of reserves most commercial banks are required to hold by 1%. It means freeing up around 1.2 trillion yuan (almost A$240 billion) of cash for banks to lend and help support the Chinese economy. If China suffers, our economy suffers, the 1.2 trillion policy may lift the employment rate and company’s R&D budget in China, definitely a positive sign for Australian businesses. 60,000 visitors from mainland China enter Hong Kong on high-speed rail on the first day of the National Day Holidays (1 Oct). You see, that’s how profitable Chinese tourists can make you if you are ready on infrastructure and a Disneyland. Oops, we don’t get Mickey Mouse but how about Great Ocean Road and Uluru in the house! 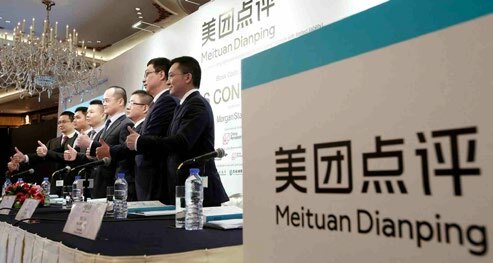 China’s Meituan-Dianping, an online food delivery-to-ticketing services platform, confirmed it had filed for an up to $4.4 billion Hong Kong IPO. At present, the latest market value of Meituan is about HK$376 billion (AU$ 66.52B) , which has surpassed JD.com’s US$37.42 billion (about HK$ 293 billion yuan, listed in the US) and the Xiaomi’s HK$350 billion, which is also listed in HK. It is always amazing to see how great a firm can be when it focus on empowering its users.